Lyft’s web-based Concierge tool enables a senior living community to order rides for residents. Brookdale is piloting use of the ride-hailing service Lyft in one of its communities in California, the country’s largest senior living provider announced Wednesday. Through the project, Brookdale Redwood City residents with smartphones have been educated on how to download Lyft’s app and use it to summon rides. In addition, the community’s concierge can use the Lyft Dispatch program to request rides for residents who don’t have smartphones. Although the Redwood City, CA, senior living community provides scheduled transportation to doctors’ appointments, shopping centers and cultural and social activities, the Lyft partnership “means a resident can go to a grandchild’s birthday party, accept a last-minute invitation to a movie or take someone on a date,” Andrew Smith, Brookdale’s director of strategy and innovation, said in a press release. That increased mobility can reduce feelings of isolation, which can lead to depression, he added. Brookdale could expand the pilot to many of its approximately 1,100 communities in 47 states if the test in the Golden State is deemed a success, Smith said. 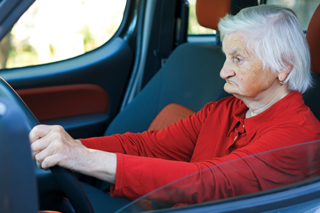 Older adults are an expanding target market for Lyft and rival Uber. Last month, Bend, OR-based Sunshine Retirement Living announced a partnership in which it is testing Lyft in nine of its 19 communities. Lyft also recently announced a pilot program with Great Call whereby older adults who use Jitterbug flip phones in select markets can arrange for transportation through a personal operator reached by pressing “0” on the phone. Rail-hailing service Uber also is testing a service, UberCentral, in a Revera senior living community in Toronto. And Uber and healthcare transportation platform Circulation are testing a nonemergency medical transportation service at a Program of All-inclusive Care for the Elderly in Pennsylvania as well as hospitals in Delaware and Massachusetts.